I am so excited that fall is almost here! It is my favorite time of year. I love when the leaves start falling, the air turns crisp, and apple cider becomes a nightly tradition. When fall arrives I love to do three things. Jump in the leaves, plan my Halloween costume ( this year I am going to be Olaf), and switch out the makeup in my makeup case. I have found that doing it during a certain time of year gets rid of those ” Is this too old to use?” questions. 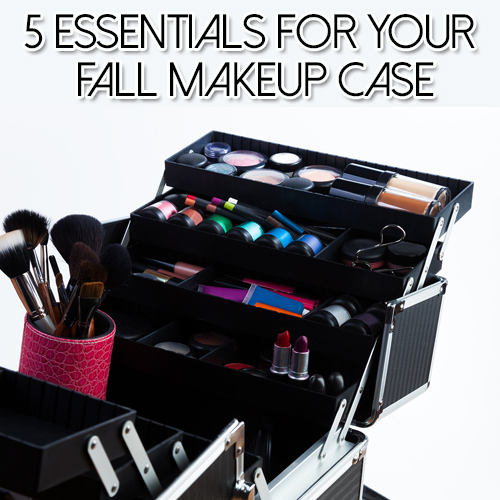 Since it is almost time to do it I thought I would tell you about 5 essentials for your Fall makeup case! 1. Tweezers- Okay girls I know when winter time comes we let our legs turn into forests and who can blame us? All summer long we have been perched on the side of the bathtub making our legs silky smooth and presentable. We need a break! But just because we can let our legs go doesn’t mean we can let the rest of us go. We need those tweezers for those unwanted hairs that we all get ( even if you don’t want to admit it!). 2. Tinted Moisturizer- The summer time makes us look pasty unless we go to the tanning bed. A tinted moisturizer not only gives you a hint of color so you don’t look like one of the Addams family but it also hydrates your skin which is important when the cold weather is drying it out. I also suggest buying it with SPF to protect against the sun. Even though you are not tanning the sun is still harmful, especially sun against snow. 3. Concealer- I don’t know about you but when my skin starts to lose the summer kissed glow I get some serious dark circles. I need a good concealer that covers them and evens out my skin tone. It also helps even out those winter blemishes you can get. I use a cream concealer instead of liquid. I don’t know why but I seem to get better coverage with it! 4. A set of brushes. A good set, not a set that comes from the dollar bin. You are going to be painting, swiping, and scrubbing your face with these brushes. They need to last but also be good to your skin. Some brushes are actually hard on your skin and leave microscopic scratches. I use a very soft brush or an organic brush set. They are very soft on my skin and help the environment because I am not throwing them away every month. A good brush set lasts longer and in the end is worth the investment! 5. A Case- I know this seems obvious but I see a lot of bags floating around out there. Bags are great, I love them! For everything but makeup. First makeup can get broke in a bag, especially if the bag is dropped. There is no protection inside there. Second, they rip eventually and third you have to dig in them. I spend enough time digging through my handbag, I don’t need to spend half my morning digging through my makeup bag! Cases are really good because they are solid, sturdy, and hold a lot. They hold your makeup, your brushes, even your skin care set! I also put my razors in mine. When buying a case you need to get a good one. My favorite is Caboodles. Especially their ultimate train cases. It is sturdy and huge. You can fit all of your essentials in them and if you drop this thing, nothing is getting broke. It is awesome and makes a great christmas present for your makeup diva! 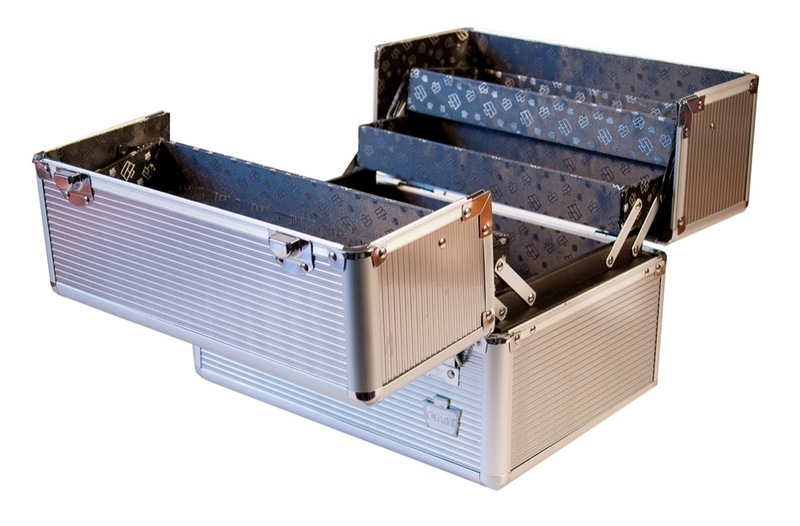 It has 4 large auto open trays, spacious bottom interior storage, two locking latches with a key ( and a spare!) and a carrying handle so you can take it on the go! They have many styles to choose from and you are sure to find one for that special lady on your list! ← Previous Which Style Is Right for Your Formal Dress?